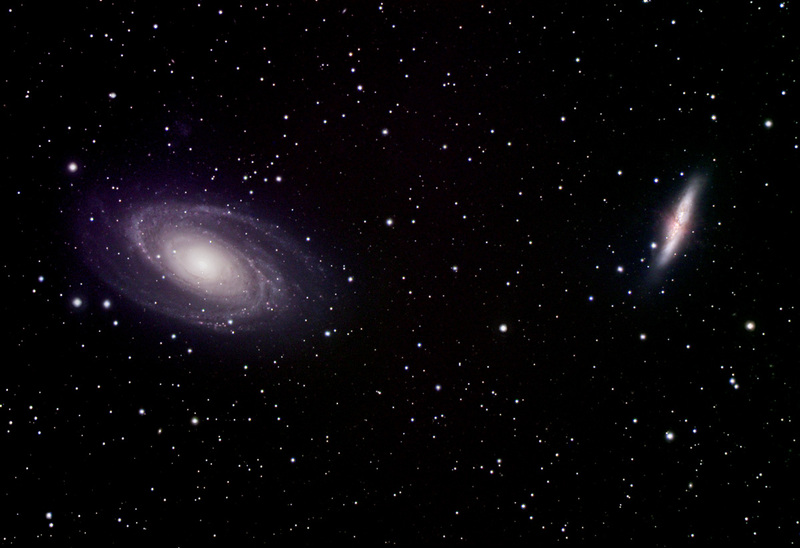 Explanation: In the left corner, wearing a red nucleus surrounded by blue spiral arms, is M81. In the right corner, sporting light stars and dark dust lanes, is M82. 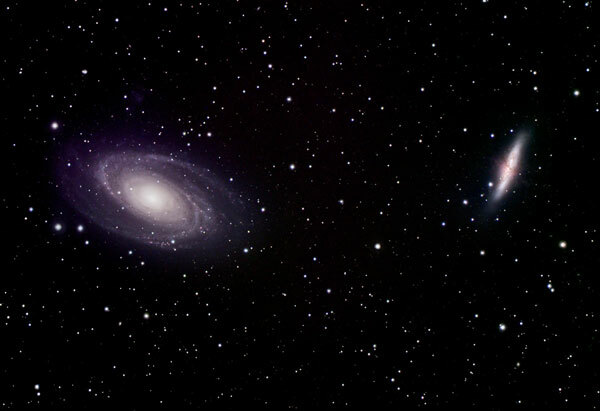 These two mammoth galaxies have been locked in gravitational combat for the past billion years. The gravity from each galaxy dramatically affects the other during each hundred million-year pass. Last go-round, M82's gravity likely raised circulating density waves rippling around M81 resulting in the richness of M81's spiral arms. M81, though, left M82 a messy pulp of exploded stars and colliding gas so violent it emits bright X-rays. In both galaxies, colliding gas has created a recent abundance of bright new stars. In a few billion years only one galaxy will remain.